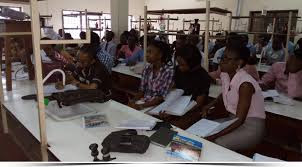 The Lagos State University (LASU) has dismissed the appointment of three senior lecturers for s*xual harassment of female students in their departments. Two other senior lecturers escaped being sacked as one was issued a warning and the other was advised against committing same offence. The Sonny Ajose-led council Senate committee, according to Daily Sun, had in their reports found the three senior lecturers guilty of sexual harassment and thus recommended their dismissal from LASU. The three lecturers dismissed from the services of LASU for s*xual harassment were Dr. Sunkanmi Odubunmi, an Associate Professor in Department of Economics, Dr. Isiaka Ogunwande, also an Associate Professor in Department of Chemistry and Dr. Emmanuel Gbeleyi, a lecturer of Anatomy, Lagos State University College of Medicine, Ikeja. Adekoya, who could not give details of the decisions by the Prof. Adebayo Ninalowo-led Governing Council, told Daily Sun that his department was expecting the decision extract of the meeting.